Posted in Dinner, DIY, Food, Fun	by C.
To help get through all of the goodies sprouting from her home garden, a friend of mine has been sharing the fruits of her labor with me recently. Last week, the most delicious and sweetest bowl of cherry tomatoes came my way that I sliced up and enjoyed with dinner two nights in a row. Earlier this week, fresh basil came next. Cooking for one presents its challenges. I find that I’m not home a lot and end up throwing out food more often than I’d like to admit. Since there’s produce that I have to buy fresh and needs to used within a short window of time, I resort to buying certain things in dried or canned form to avoid having to feel the pressure to eat it right away. 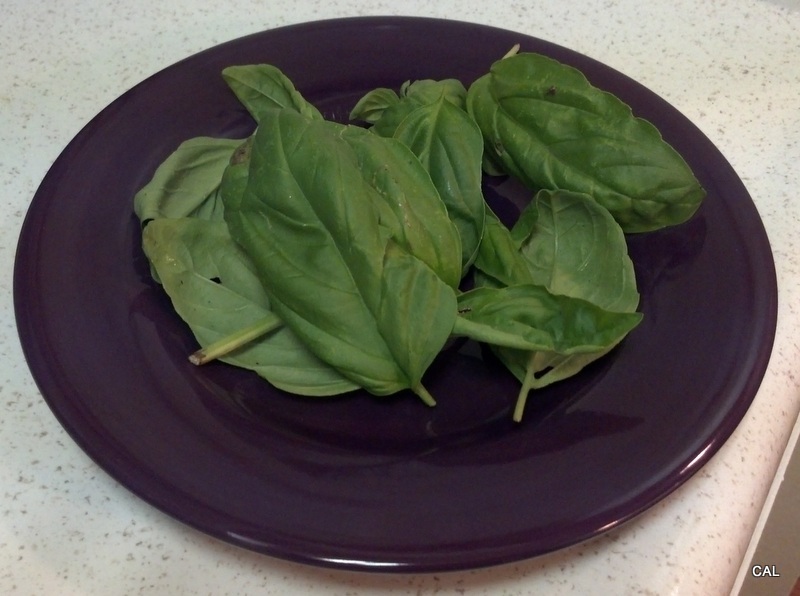 Of course, I immediately got the speech that nothing is better than fresh basil straight from a garden. I was excited to experiment with it and came home one night deciding to use it in a quick pasta dish. While boiling noodles; I sautéed some garlic in 2 tablespoons olive oil, adding lots of sliced chicken breast, tomatoes, black olives, and the fresh basil to the skillet. To give the dish a bit more punch, I then added 1 tablespoon of Marie Calendar’s Italian Dressing (this stuff is amazing in salads by the way). I’m certainly not opposed to working with fresh ingredients, but admit that I would need to plan ahead more often that I do. The ease of working with dried herbs is the spontaneity you get in creating meals. 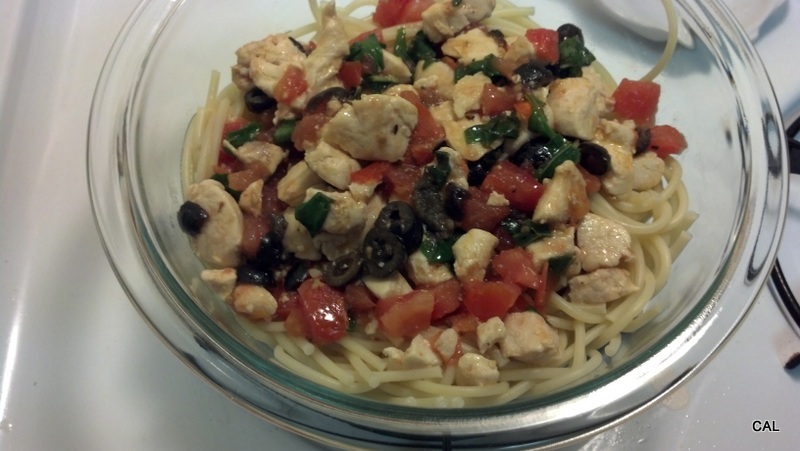 As for dinner, after placing the chicken sauté over the noodles and adding some parmesan cheese, dinner was served!